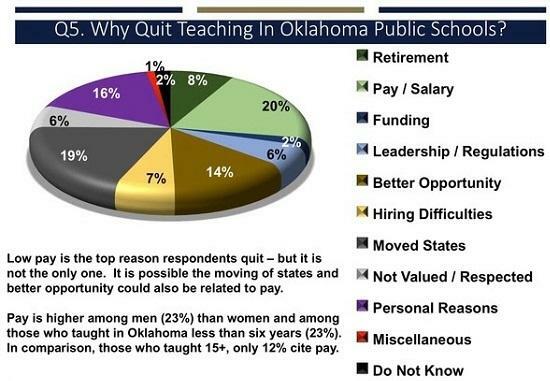 When asked the open-ended question, “Why did you quit teaching in Oklahoma Public Schools?” 34 percent of respondents cited pay or a better opportunity. 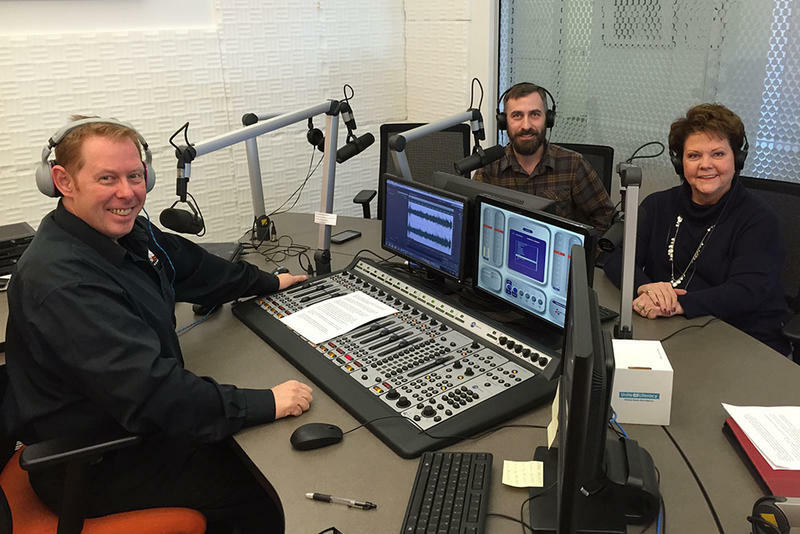 This Week in Oklahoma Politics, KOSU's Michael Cross talks with Republican Political Consultant Neva Hill and ACLU Oklahoma Executive Director Ryan Kiesel about the Governor's threat to veto any budget bill in the second special session which doesn't include a pay raise for teachers, the Oklahoma Education Association releases a poll showing support in Oklahoma for a teacher pay raise and the Oklahoma Independent Petroleum Association challenges the constitutionality of an initiative petition to increase taxes on oil and gas wells to fund education. 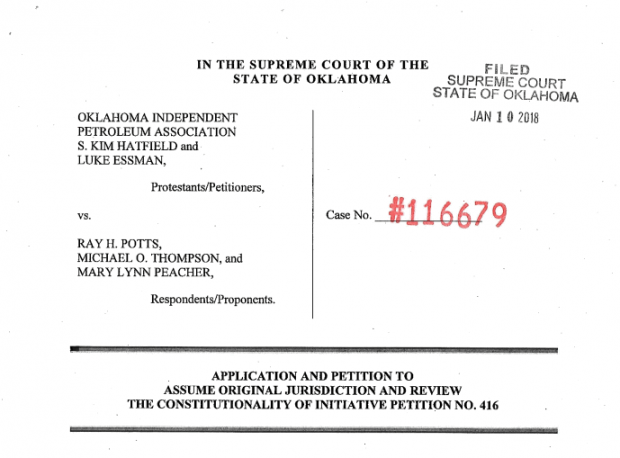 The Oklahoma Independent Petroleum Association on Wednesday filed two separate state Supreme Court challenges to a proposed state question that would ask voters to end industry discounts and impose a broad 7 percent tax on oil and gas production to fund teacher pay raises and early childhood education. 2017 is wrapping up, but the growing group of reporters at StateImpact are following many important government policy issues that will carry on into the new year. 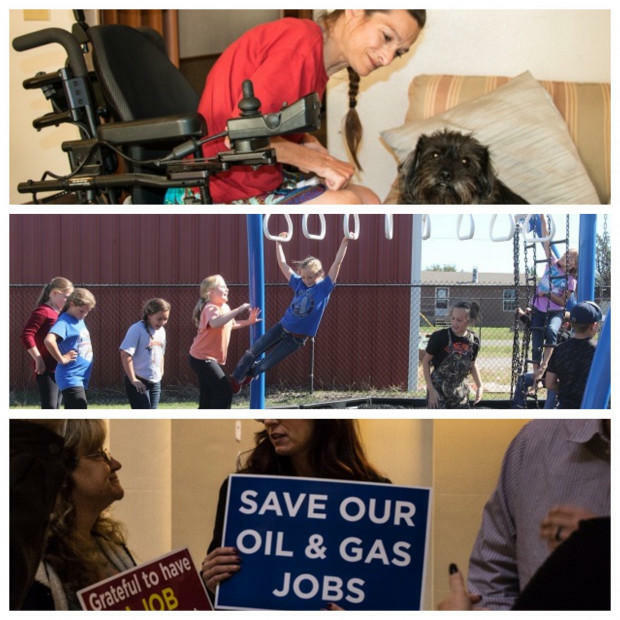 A group led by a long-time energy industry leader wants Oklahoma voters to approve an increase in taxes on oil and gas production to help fund public education. Currently, taxes on oil and gas production are discounted for the first three years making the effective tax rate somewhere around 3.2 percent. 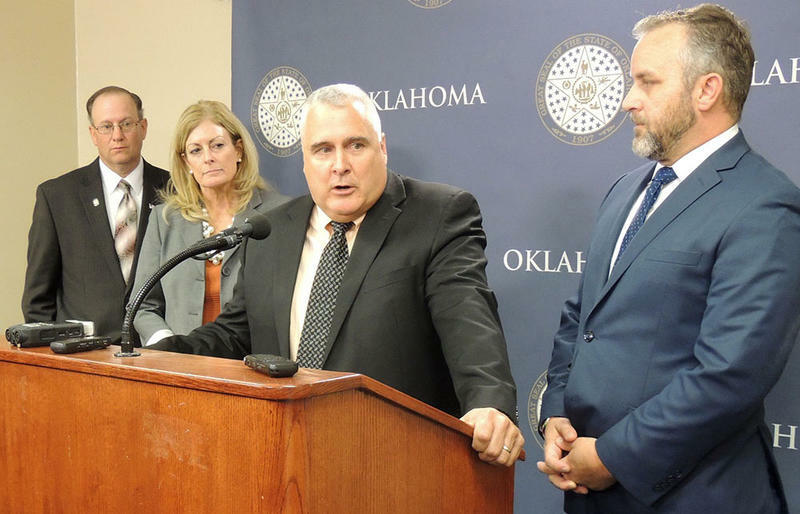 Mickey Thompson with Restore Oklahoma Now on Wednesday filed the paperwork for State Question 795 to increase that rate to 7 percent across-the-board. This Week in Oklahoma Politics, Republican Political Consultant Neva Hill and ACLU Oklahoma Executive Director Ryan Kiesel talk about Governor Fallin vetoing a budget bill and telling lawmakers they would have to return for a second special session and then turning around and calling on common and higher education officials to find efficiencies in their budgets to include possible consolidation of schools. 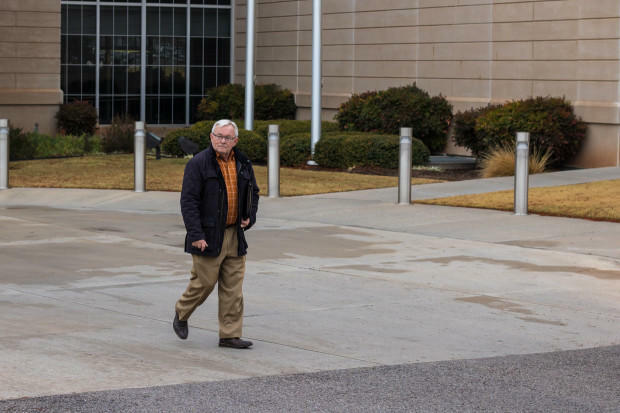 The trio also discusses the 8.8% pay cut by the Legislative Compensation Commission and a signature petition to increase teacher pay in Oklahoma City comes up short. Updated: November 8, 2017 at 6:01 p.m.
After nearly four hours of floor debate and questions, a budget package that would have filled most of the state’s estimated $215 million budget shortfall and provide raises to teachers and some state employees has failed in the Oklahoma House of Representatives. House Bill 1054 would have raised the production tax rate on oil wells from 2 to 4 percent and increased taxes on cigarettes, fuel, and low point beer. 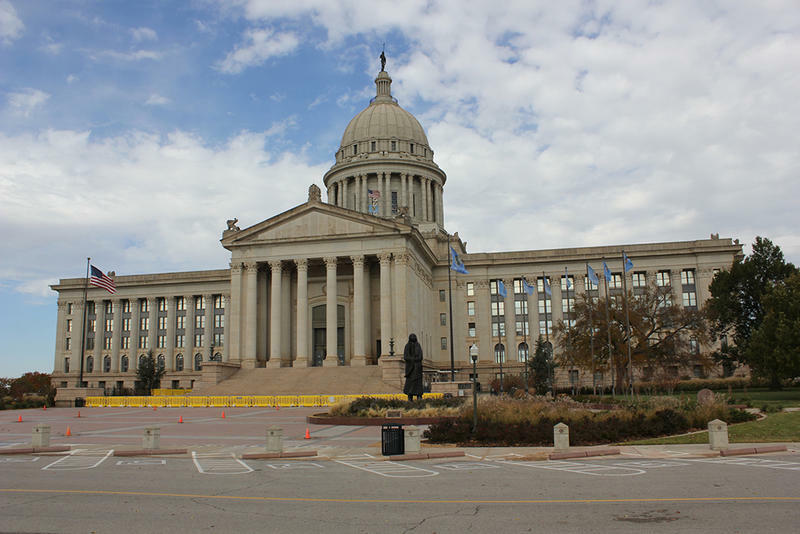 In the ongoing budget saga at the Oklahoma State Capitol, there was some bipartisan movement on Monday in the state Senate. Lawmakers have already agreed to increase the cigarette tax and fuel taxes, but the sticking point has been the gross production tax on oil and gas wells. 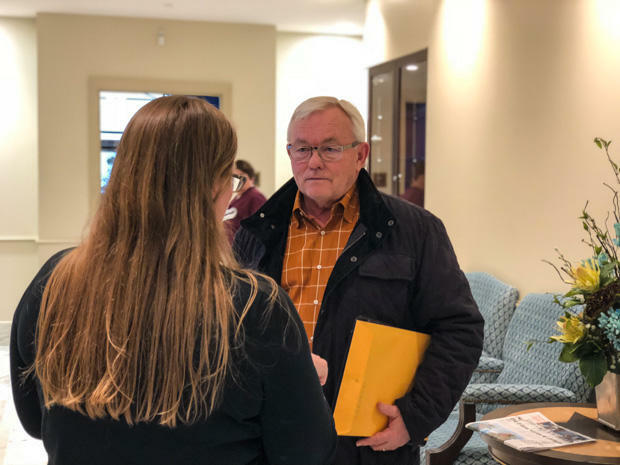 Last week, the House of Representatives passed a bill that would decrease the tax discounts on oil and gas wells after failing to come to another agreement. That bill only required a simple majority (51 percent) of lawmakers to vote in favor.